There are a number of factors that can determine how and when you replace your residential roof. However, prior to diving in, there are a few important considerations to make. 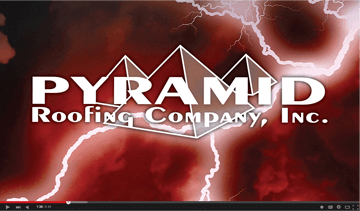 In addition to hiring a professional to handle the job, some things to keep in mind when it comes to roof replacement are found here. Do you live near an open field or by the water? Is your home exposed to high winds frequently? If so, you may need to consider investing in higher grade materials for your roof, rather than the basic 3-tab shingles. Talk with your roofer to determine what the best material is for your home’s roof. If money matters, the most economical and popular option for a residential roof is the architectural style of shingle. This is a step up from the basic, 3-tab shingle. While these can still provide you with a quality roof, the 3-tab shingle will only withstand winds up to 60 mph whereas the architectural roof can withstand winds that reach as much as 130 mph. The difference in price is usually worth if your budget permits. The pitch, which refers to how steep your roof is, or certain parts of the roof play a huge role in the type of material that is best for the surface. Anything from completely flat to a 3:12 pitch is considered to be a low pitch and should be fitted with a membrane roof system to achieve the best performance possible. Slate, flat, metal, luxury shingles and other specialty materials will provide a unique appearance for your home. Try to not only select a roof system that is going to last, but that also compliments the look of your home and property. If you wait too long to replace your roof, it will likely cost you more in the long run. An ongoing leak in any roof can result in deteriorated and rotten sheathing, which will add up if it has to be replaced. It is not recommended to install new materials over the shingles. It is also important to take a look at the wood deck to make sure the new roof is being placed over a solid structure. The materials used for roofing are extremely heavy and constructing a structure that is unable to support the weight of these materials can be quite dangerous. There are some circumstances where a new roof can be installed over an existing one, such as with a flat roof, but it is essential to discuss this with the roofer to make sure that no adverse effects will occur. If you have plans to stay in the home for several years, it is a good idea to invest a little more money in the roof system. This will help it last longer and reduce how often it needs to be repaired.